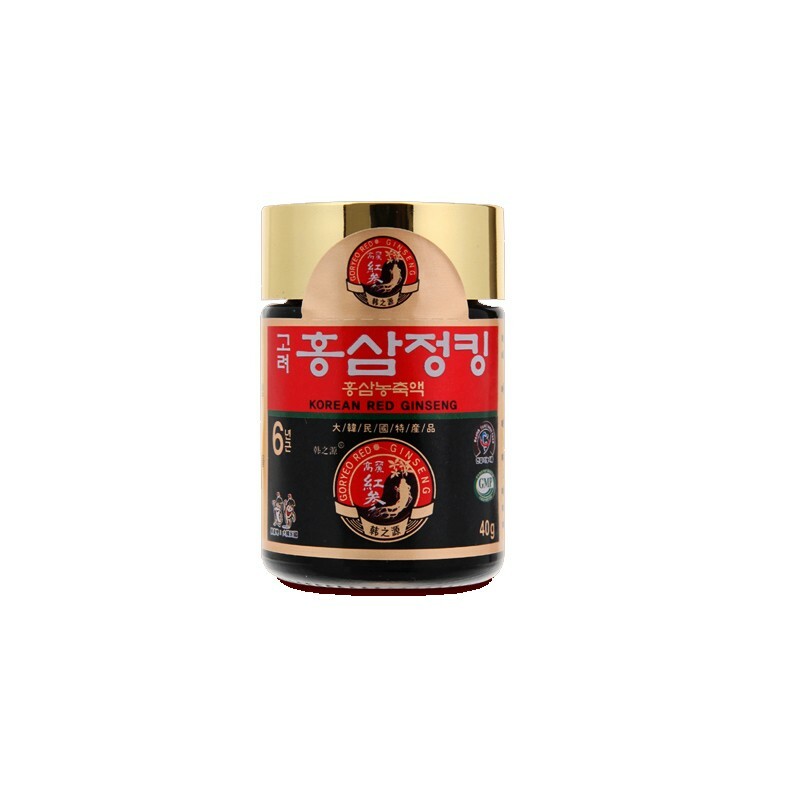 This product is a Ginseng Extract made from selected six year old Korean Red Ginseng Roots. It is subjected to our special technique that maximises the ginsenoside content ( Rg 1, Rb 1, & Rg3 20mg/g). 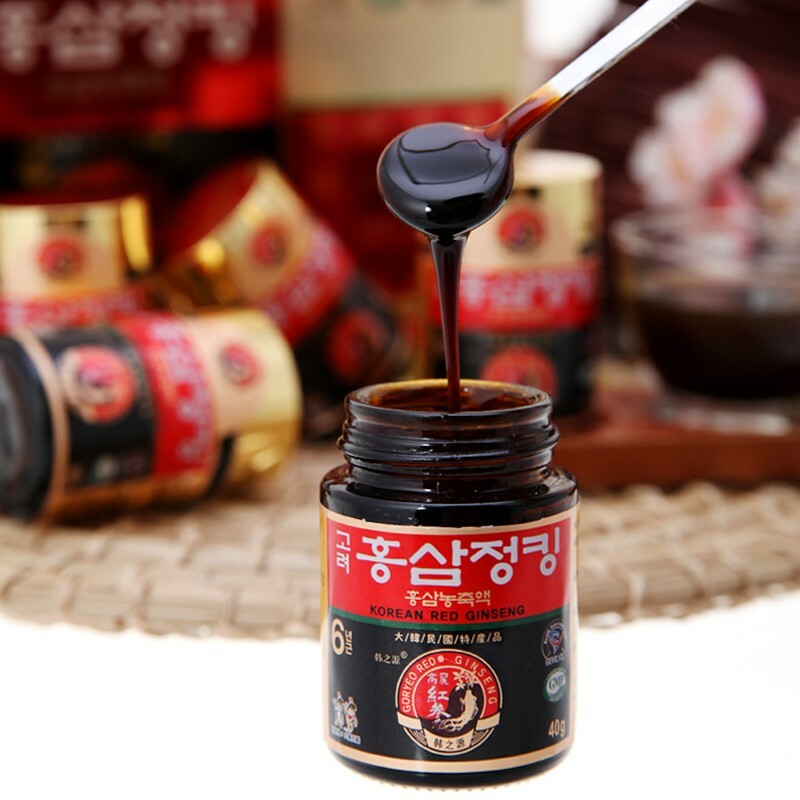 This particular Ginseng Extract also contains a significantly higher saponin level compared to all other ginseng products. A typical ginseng extraction is done with multistage extraction. Only the first 10% of the extraction contain 20mg/g saponin concentration, the other 90%, some of them contains 10mg/g - 8mg/g saponin concentration. The highest saponin is concentration extracted at the beginning of the extraction process. The concentration reduces throughout the remainder of process. 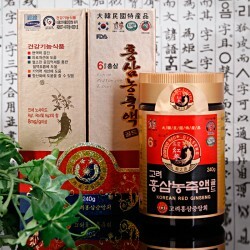 Extract King is the only product which has the highest saponin levels in Korea. This is recommended only for adults, who can take 1-2 spoons once a day. The spoon we supply measures a 1g portion. 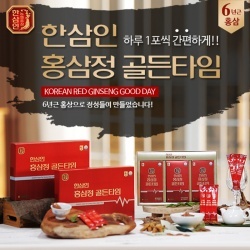 Korean red ginseng Extract can be added to tea, swallowed with water, or eaten with honey.